He also said that he and Sarah have declined offers for them to work on projects together. 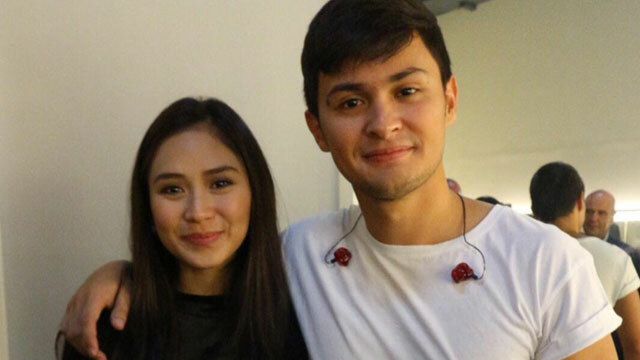 During a recent press conference for Matteo Guidicelli's concert, Hey Matteo, the matinee idol had to face questions about whether or not he's sincere about his feelings for his girlfriend of three years, Sarah Geronimo. Matteo said the public sometimes makes the mistake of seeing them as a mere love team. "I just wanna clarify, we're [not] a love team. We don't work together, we don't want people to say, 'Ah, they're using each other, or I sing with her or ganito, or we'll do a movie together.'" "There are more than 10 offers, so many offers that we both say 'no' to, because we wanna save our relationship," he said after revealing that he and Sarah have declined offers to work on projects together. "We know the true meaning of our relationship. It's not showbiz, it's real. We wanna protect that, and we wanna really save that." The young actor also disclosed that he walks away from people who say that he is just using Sarah to get ahead in his career. This is not the first time that their relationship and his sincerity have been under scrutiny. The two had to really fight for their relationship to work since it was initially disapproved by Sarah's ultra-strict mother, Divine. The relationship between Mommy Divine and Matteo seems to be getting better, though, with the actor saying, "We're OK. We're working on it."